Anything and everything old tech related, from historical information, to commentary, reviews and easter eggs you can find here. We welcome guest contributions, contact the admins with your post and we will post it here for everyone to see. 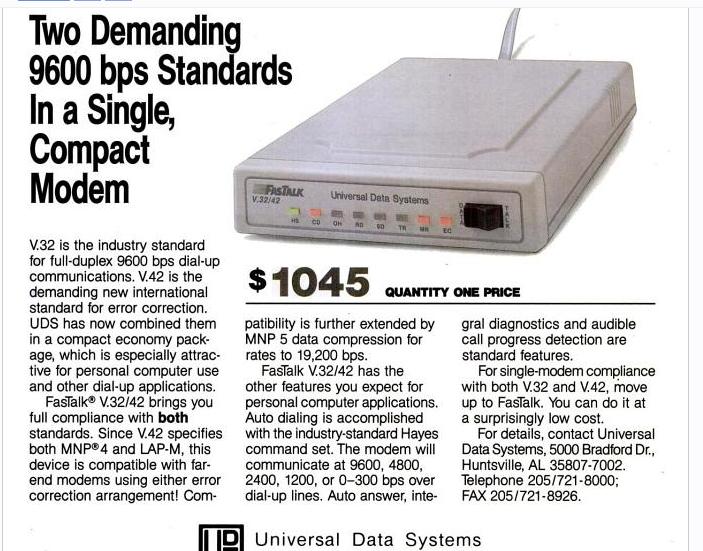 Shown above is an advertisement in Byte Magazine in the mid-1980s for a 9600bps modem. At the time this modem was sold it was top of the line. Notice the switch on the modem that switches between data and voice. A landline phone can be plugged into this modem (since sometimes one would only have one phone jack available) and normal voice communication could be used when the computer was not dialed up into a BBS. 2005-2017 OperationABW. Content on this site is published under the Creative Commons License.